My fridge once again has space in it and leftovers have all cleared out but now. With a few extra hungry mouths this morning, I started to panic as I rummaged through the pantry, fridge, and freezer for something breakfasty. FAIL. All I had was pieces and parts. 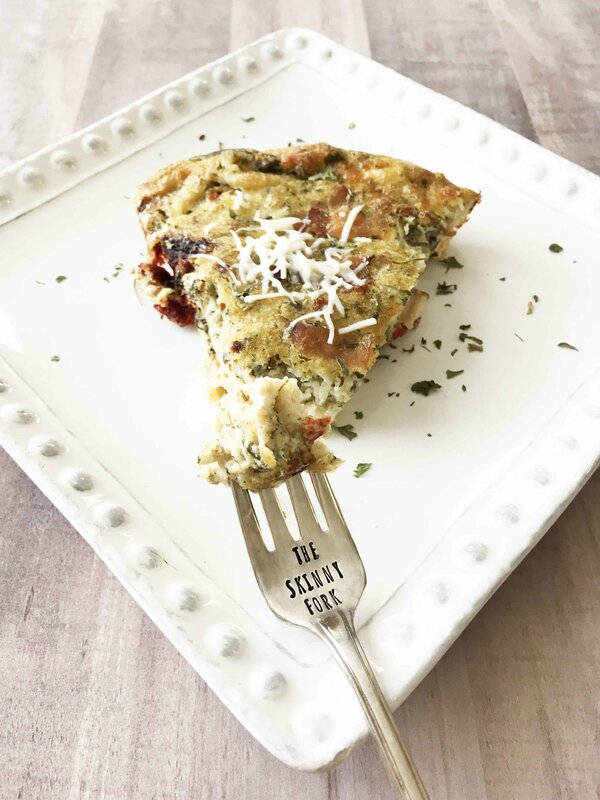 Leftover pesto, sun-dried tomatoes, eggs, bacon, cheese… hah! These are the makings for a great quiche! I started this quiche out the way that I always do with my quiche. Crustless style with lots of cheese and veggies. It’s true that a crustless quiche is basically a frittata, but… I prefer the term quiche since we’re adding in milk and what not. Frittatas are generally just egg. No milk. 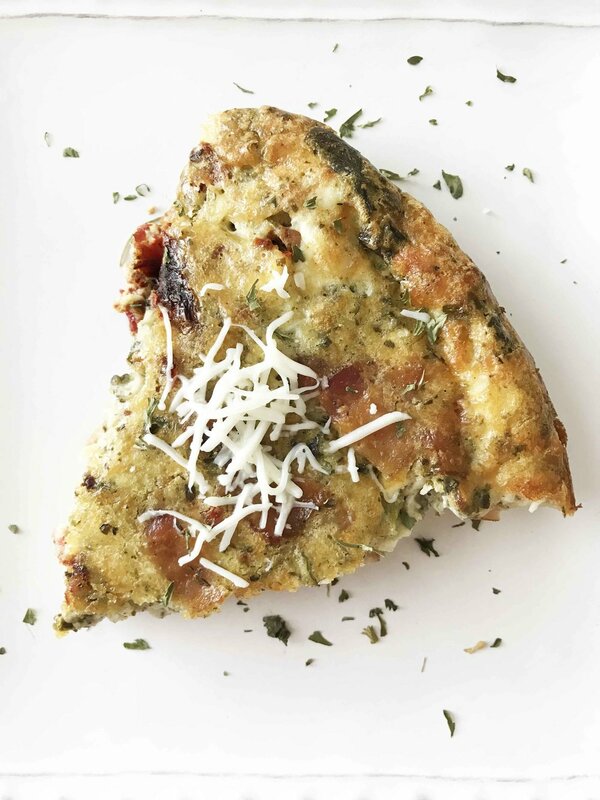 Besides… with a cold front blowing in today, quiche just sounds wintery and perfect for colder weather. I used what pesto I had on hand today. But, I have a lot of pesto options out there, and any one of them would be perfectly delicious in this quiche. I mean, let’s face it, you really can’t go wrong with a pesto. This quiche hit the spot! 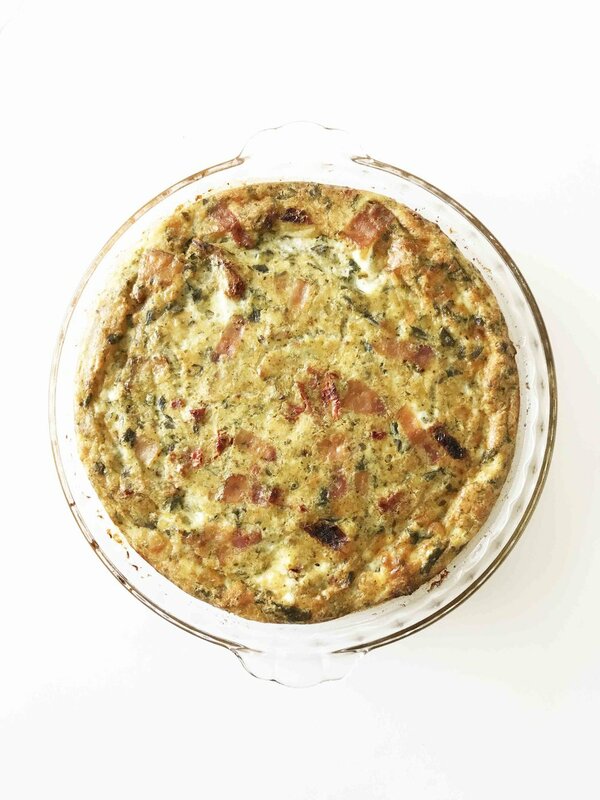 And just as with any quiche, it’s great for breakfast, brunch, lunch, or even dinner too! 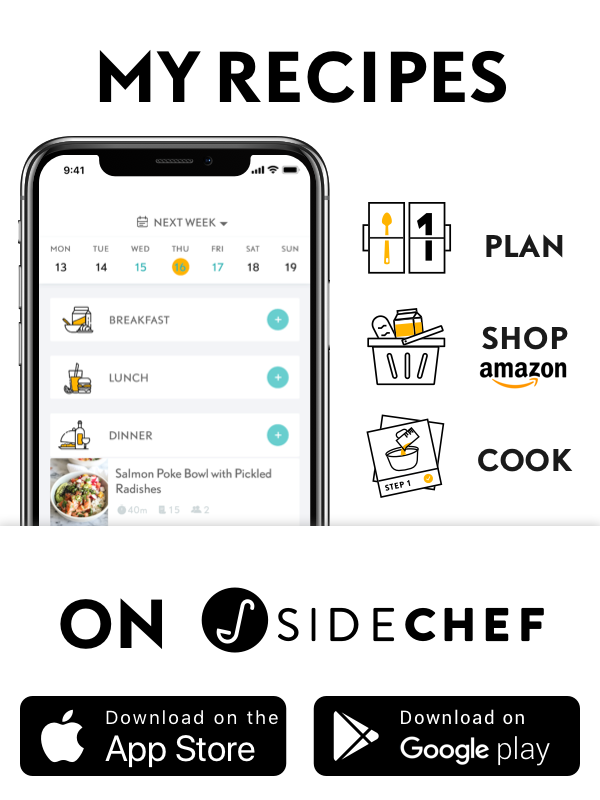 I love to serve quiches with a soup and/or a salad on the side; depending on the meal it’s being served for, of course. 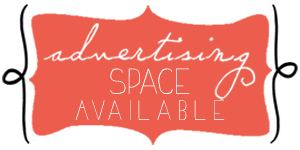 And since it’s crustless, you get an even bigger slice of it than you otherwise would! Now, you can have your pesto, and eat it too! 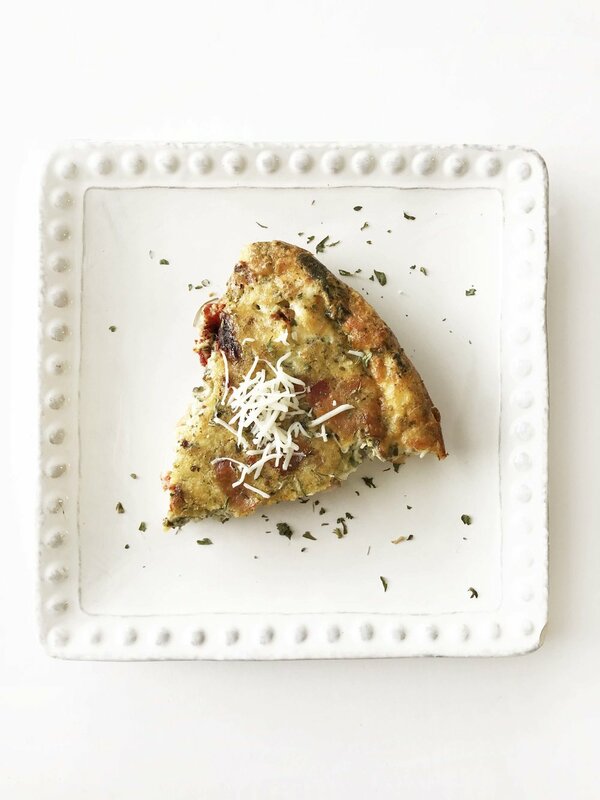 A delish crustless quiche that's loaded with sun-dried tomatoes, cheese, bacon and pesto too! Easy to make, low-carb, gluten-free and low-cal. Preheat the oven to 350 degrees F. and lightly coat the inside of a pie dish with non-stick cooking spray. Sprinkle two-thirds of the sun-dried tomatoes, two-thirds of the crumbled bacon, and the 2 Tbsp. of feta into the bottom of the prepared pie dish; set aside. 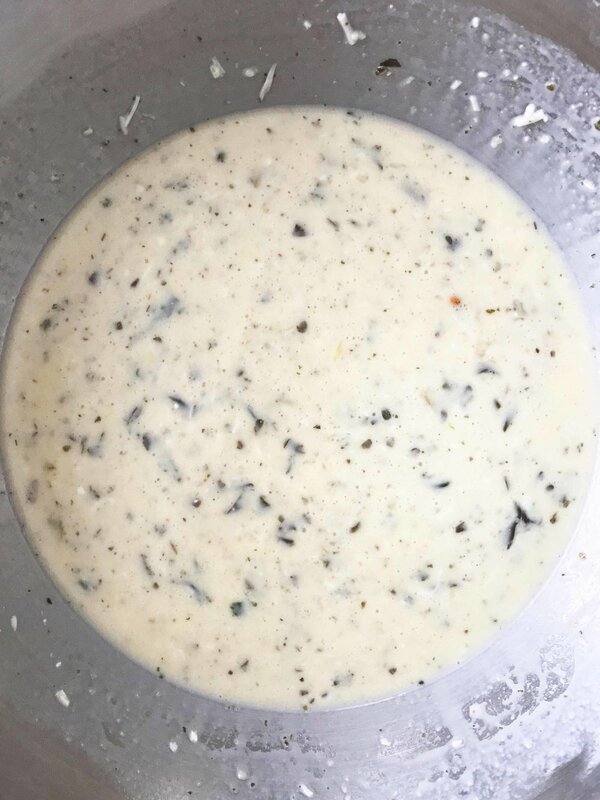 In a large bowl, beat together the 2 whole eggs, 4 egg whites, 1 C. milk, 3/4 C. shredded cheese, 1/4 C. pesto and salt & pepper together. Pour the mixture into the pie dish and sprinkle with the remaining sun-dried tomatoes and crumbled bacon. Place the dish into the oven to bake for 45-60 minutes or until the top is browning and the eggs have cooked through. Once done, remove from the oven and allow to cool slightly before slicing to serve and enjoy!